Coastguard Helicopter from Inverness and North Kessock Lifeboat search the waters of the Beauly and Inverness Firths close to the Kessock Bridge. Fears have been raised that cutbacks to the coastguard are putting “lives in danger” after new figures showed that almost 100 shifts were understaffed in 2018. 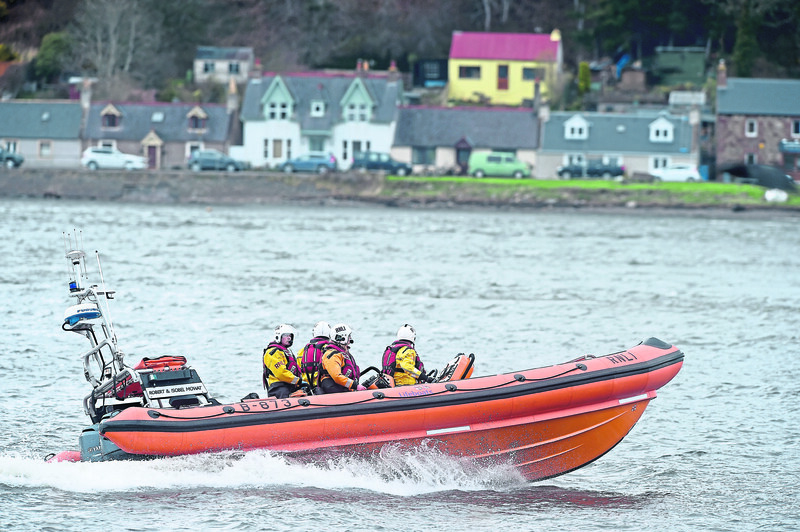 Data released to The Press and Journal has revealed the national network of Coastguard co-ordination centres – including Aberdeen, Shetland and Stornoway – has been routinely staffed below “risk assessed” levels. The figures showed there were a total of 95 shifts at “below optimum” staffing levels this year, including 12 in April, 11 in May, 16 in June and 10 in July. In August, 17 shifts were below the risk-assessed threshold, and in September 16 shifts were not staffed at the expected numbers. The UK Government controversially closed the Forth co-ordination centre in 2012 and another on the Clyde that covered the west coast from Fort William to the Mull of Galloway. The cost-cutting measures left Aberdeen and Shetland covering the entire east coast of Scotland and just Stornoway and Belfast on the west. Maureen Watt, SNP MSP for Aberdeen South and North Kincardine, said: “These figures paint a picture of systematic, chronic under-funding by the UK Government for years. “Coastguard services are absolutely vital for a maritime nation like Scotland. “We have the vast majority of the UK coastline, bustling ports, the brunt of the UK fishing industry and an oil and gas industry dependent upon support and supply vessels. “A detached UK Government, focusing funding and resources on Southampton and London while overlooking Scottish services, could be putting lives in danger. A spokeswoman for the MCA, however, insisted that the national network ensured the workload can be shared between centres. “The nationally networked system gives us resilience and flexibility,” she said. “The ability to manage workload across the whole network rather than on a centre by centre basis means we can dynamically move workload between coastguard operations centres when required. This was a step change in operational capability. The spokeswoman also indicated that gaps could be plugged with senior staff. “The numbers provided are for operational coastguard – we can also support operations with our coastguard managers,” she said.